I highly recommend and can think of no better instructors or organization to learn to fly with, or obtain new flight skills, than those found at Flight Methods. Due entirely to Flight Methods, I am a safe, confident, highly skill and very happy Private Pilot. 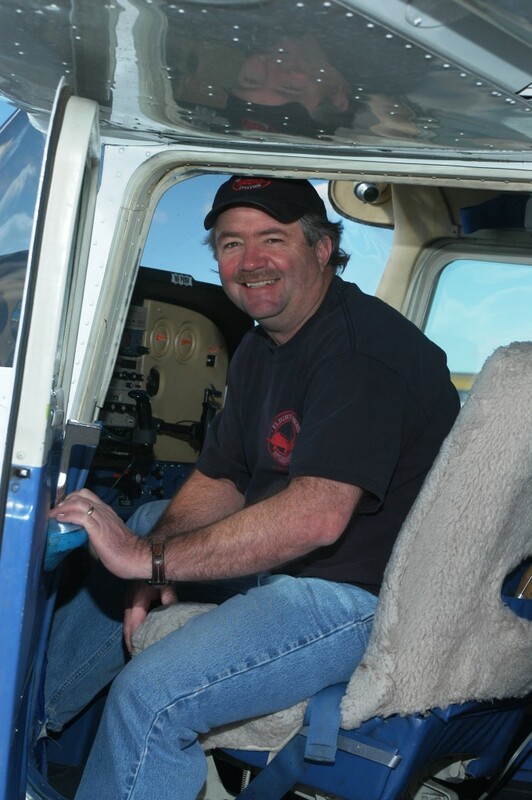 I was very pleasantly surprised when I spoke with Jim Fleming at Flight Methods. They reviewed all my previous experience and training, and tailored a program to fit my needs and schedule exactly. The training itself was superb. I highly recommend Flight Methods to anyone. Hello, I am Jim Fleming. I flew my solo flight on July 22nd, 1982 in a Cessna 152. Today I am 58 years old, have over 14,000 hours of total time of which nearly 7,000 hours is dual instruction given. The majority of my flying has been done in the Rocky Mountains of Colorado and I have never had an aircraft accident or incident. I am a Designated Pilot Examiner and have authorization to conduct Sport Pilot, Recreational Pilot, Private Pilot, Commercial Pilot, Instrument Rating Airplane, ATP and Flight Instructor certification checkrides for both single and multiengine aircraft. I hold the Airline Transport Pilot Certificate, Flight Instructor ASEL, AMEL & Instrument, and Advanced Ground Instructor Certificate. I started Flight Methods Aviation, Llc. 24 years ago as a comprehensive flight training organization. I am the Chief Pilot and Chief Flight Instructor as well as owner and operator. Our specialty is accelerated flight training for the Instrument Airplane Rating. Whether you are just getting started or are interested in a finish up program. Accelerated training for other pilot certificates is also available. Just ask. We also offer a very popular and exciting Mountain Flying Program (see video on that page) that includes landings at Leadville, Colorado (highest elevation airport in the United States) Telluride and Aspen, Colorado. We customize our training program to your needs. Tell me your knowledge and flight experience and I will develop an accelerated program just for you. You will be trained to an extremely high skill level to give you the safety and confidence you need to fly actual IFR. 100 percent of your flight training will be in an airplane, yours or mine. No simulator time. When possible, we will flight train in actual IMC. 95% of your flight and ground training will be with me. Unless you arrive here with a logbook endorsement for your checkride, the FAA requires you to complete a three hour stage check with one of my instructors. 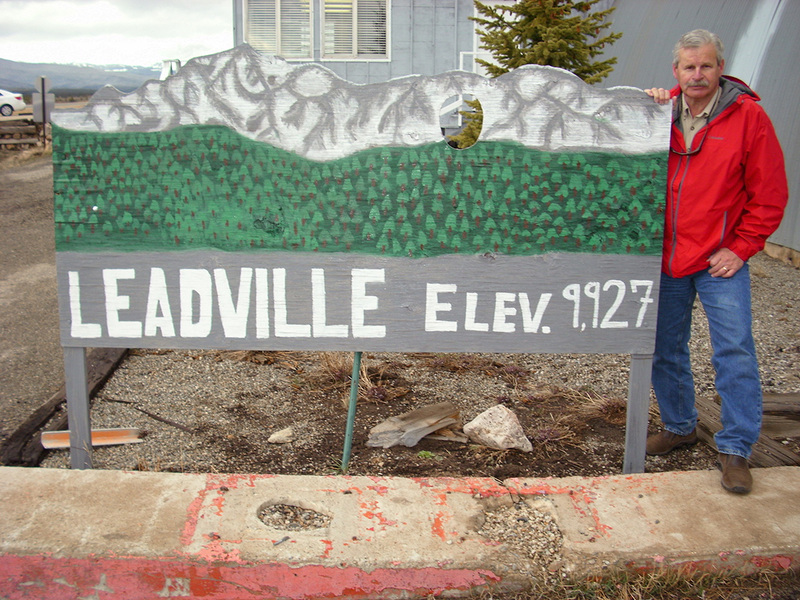 The photo above was taken at the Leadville, Colorado airport (highest elevation airport in the United States). Grover, from Alabama, had just completed his Instrument Airplane program and on this day was taking advantage of my mountain flying course. I will be your examiner for your checkride. Flight training with your examiner has been touted by prior students as an exceptional arrangement, not common in the industry. Your checkride will be no less comprehensive than if you took it with an examiner you have never met. Seems like it could take some of the “checkride jitters” away, right? If you train in your own airplane and repairs become necessary, we have available on the field a large Fixed Base Operator, Mountain View Aeromotive, with an IA and several A&P’s on staff. This FBO is very accommodating for large or small repairs or routine maintenance. Additionally, a complete avionics repair and maintenance shop, Depot Avionics, is located on the field. Its like one-stop shopping for pilots. Flight Methods Aviation, Llc. is located at Alamosa, Colorado. The airfield is Alamosa San Luis Valley Regional Bergman (ALS). We have an 8,519’ X 100’ paved runway and a 3,200 X 100 crosswind dirt runway perfect for practicing soft and short field procedures. Our training area is 5 minutes away from the field. Throughout the year, there is very little air traffic to contend with. Flight Methods Aviation, Llc. is the only flight training school on the field and within a 75nm radius. Each year brings over 350 days of sunshine. GPS, ILS and VOR approaches are located here. Summertime activites include great fly fishing on several streams and lakes, big and small game hunting, hiking and camping, whitewater rafting, and mountain biking. All of these activites are within an hour’s drive. Wintertime activites include downhill and crosscountry skiing, snowshoeing, ice fishing, snowmobiling and relaxing in mineral hot springs. Again, all within an hour’s drive. For shopping, Taos, New Mexico is a 30 minute flight and Santa Fe, New Mexico is about an hour’s flight away. If I can answer any questions or schedule training for you, I would love to hear from you. You can reach me directly at 719-580-0225 or call the administrative offices at 719-587-9593 and ask for Leslie. She can assist you as well. Thank you very much for your interest. I hope to hear from you.